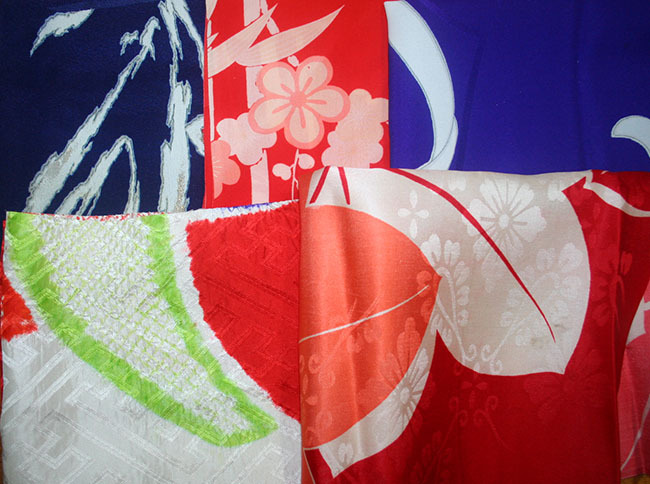 Kimoyes item: 20551 - 5 pieces of colourful vintage kimono fabrics. 5 pieces of colourful vintage kimono fabrics. Some are from girl's kimono and some are heavier silk linings. Most, if not all, are silk. Each piece measures approximately 12 x 14 inches.